SEPTA K9 Abal, a six-year-old German Shepherd, will retire and return to the family of reassigned handler Richard Galanti. A veteran member of SEPTA's Transit Police K9 unit will retire and return to the family of the officer who worked with him for five years, ending a nearly weeklong public outcry over an initial decision to separate the two. 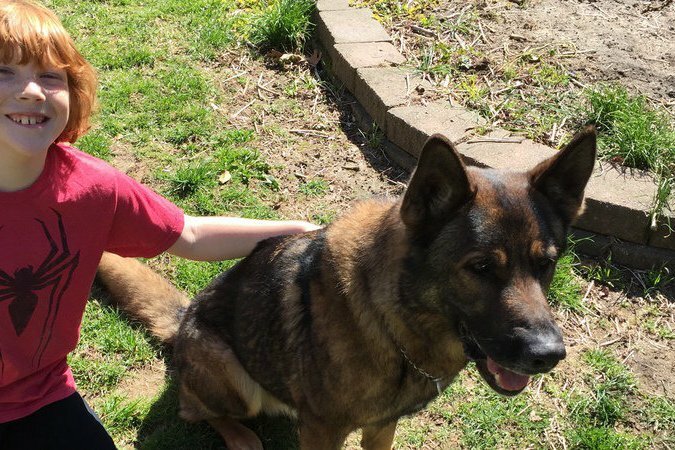 Earlier this month, SEPTA reassigned longtime K9 Officer Richard Galanti to patrol duty, taking away beloved German shepherd Abal with the intent to place him under another K9 officer. SEPTA declined to offer an explanation for Galanti's transfer, citing labor regulations. The head of Galanti's union told NJ Advance Media he believes it might have been precipitated by an argument over who should pay $150 for a replacement of Galanti's outdated jacket. Galanti and his family were devastated by the loss of five-year-old Abal, who doubled as the family dog. In 2014, the Galantis lost their son and brother Benjamin, a 14-year-old freshman at West Deptford High School, in a tragic car accident. The following week, Rich Galanti lost his mother to cancer. Abal had been the family's rock and had grown an emotional attachment to the Galantis. Their 10-year-old son was heartbroken over the news. In response to the reassignment, Galanti's wife, Nicole, launched a change.org petition to SEPTA Police Chief Thomas Nestel III to convince him to allow the family to keep Abal. The petition collected more than 160,000 signatures. For most of the last week, SEPTA held its ground, reportedly refusing to accept an offer from the family to purchase Abal for $7,000. Congressman Bob Brady, of Philadelphia, even offered to pay $40,000 to ensure that Abal remain with the Galantis. On Friday night, SEPTA finally relented, citing the results of a medical evaluation by veterinary doctors at the University of Pennsylvania. Abal was treated for a degenerative bulging disc in his back and will be made available for adoption by the Galantis. As of Saturday morning, Abal had not yet been reunited with his family. SEPTA police said they will move quickly to find a replacement for Abal on the K9 unit.